Bajaj V's Invincible Indians digital series is made up of five stories of extraordinary humans - Ambulance Dada, Medicine Baba, Didi, The Iceman and The Firebird. “I’ve learned that people will forget what you said, people will forget what you did, but people will never forget how you made them feel.” Award-winning author and civil rights activist, Maya Angelou had once shared this quote from her life experiences, which marketers have been quick to implement since then. The secret to brand recall was suddenly revealed by this radical poetic quote. Brands are now aiming directly at your heart. Marketing campaigns are increasingly skewed towards evoking your feelings. Be it to evoke a sense of pride or self belief, patriotism or just tickle your funny bone, brands are churning out stories like never before. 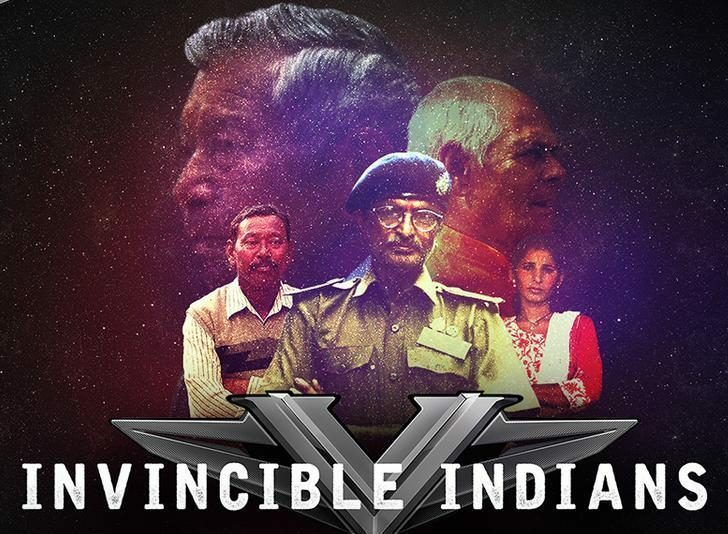 In its latest endeavour of evoking a nation’s sense of pride, Bajaj V has rolled out a new digital series – Invincible Indians. Following a strategic launch on the 26th of January this year, V, the Invincible motorcycle from Bajaj Motorcycles – with metal forged from the iconic warship INS Vikrant, Indian Navy’s first aircraft carrier – the brand has been riding carefully while achieving a defined brand image milestone, one video story at a time. Invincible Indians is the latest milestone as the brand rides steadily ahead in its journey of brand building, now with the help of real life invincible stories. Stories of ordinary people whose selfless service to society makes them ‘invincible’. Conceptualised by Leo Burnett India, the series is made up of the stories of five extraordinary humans, who lovingly began to be called as Ambulance Dada, Medicine Baba, Didi, The Iceman and The Firebird. Karimul Haque or ‘Ambulance Dada,’ lost his mother because he couldn’t take her to a hospital on time. Now he ensures nobody suffers the same fate; he has converted his bike into an ambulance operating free of cost and available 24*7. Haque’s only dilemma is when there are multiple calls for help. The brand has presented him with a specially designed Bajaj V wherein he can ferry the sick more comfortably. Whoever thought of putting unused medicines to good use! When he realized that not many can afford modern healthcare, Omkarnath Sharma set out on a mission. He travels throughout NCR, collecting medicines for people who cannot afford them. Facing fears and disbelief in his early years, Sharma is now fondly called the Medicine Baba, the messiah of the poor who cannot afford expensive medicines. Over 50 medicine collection boxes have been installed by him outside colleges, temples and other public places. Vijaylakshmi Sharma’s life mission is to save the childhoods of many girls in Rajasthan where child brides are still the norm. When her friend got married at a young age and died during child birth, Sharma, now known as ‘Didi’ had made a promise to herself – to abolish child marriage and save all the little girls from the same fate as her friend. The Iceman is the story of Chewang Norphel, a man who took on the challenge of solving Ladakh’s water crisis, by creating 15 artificial glaciers, that won him the honour of Padmashree Award in 2015. Aagun Pakhi (Firebird) is the story of Bipin Ganatra who has dedicated his life to saving others’ lives from fires. Having undergone the trauma of seeing his brother burn to his death, Ganatra has been a volunteer fire fighter with the Kolkata Fire Department with over 40 years of service. All the stories have been collated at the dedicated page for Invincible Indians. Users have been requested to share stories of invincibility that deserve to be told, by nominating them through the online form. Bajaj V’s Facebook and Twitter pages have shared the films, while the website also brings alive Indo-Pak war diaries. There is an online timeline taking you down memory lane on the 45th anniversary of the 1971 India-Pakistan war, as it happened, day by day, beginning 3rd December 1971 when Indian Prime Minister Indira Gandhi declared war on Pakistan. Since the last couple of years, storytelling has been the buzzword in content marketing. And real life stories of invincibility can do much more for an ‘Invincible’ motorcycle like Bajaj V than a bunch of cleverly conceptualized ad films. These stories have further strengthened the brand positioning around qualities that make the nation proud – selfless service and gritty determination to serve beyond all means. Moreover, V has carved a space for an Indian bike priding itself on carrying an important part of Indian history. This October, the company reported more than 1.6 lakh sales of V15, riding on the brand’s ceaseless call of feeling patriotic every day, and not just select days of the year. Bajaj V seems to be truly set in celebrating stories that make us proud Indians, but a competitive brand cannot rely solely on patriotism. It would need to further indulge biker communities and involve their feedback into making Bajaj V series the truly invincible motorcycle worthy of having metal forged from an iconic warship.